We have all experience pain at some point in our lives, but have you ever wondered what pain is, how we come to feel it? The key link and element is your brain! Your brain is your message processing centre, but can become faulty with repeated stimulus, resulting in altered pain perception and sensations. Pain from an injury or after surgery will be resolved when the injured tissues have healed, typically within 3 to 6 months. 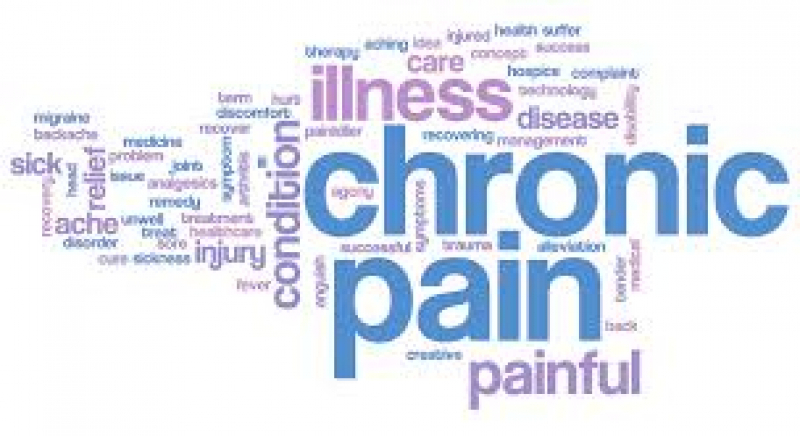 Chronic pain is pain that lasts longer than the normal healing time. Chronic pain is also related to the notion of suffering. Suffering is a negative affective response in the brain that is caused by fear, anxiety, depression, and other mental states. Nociceptive and neuropathic pain are 2 types of chronic pain that can be experienced, sometimes mixed together. 1.Nociceptive pain is caused by damage to body tissue and usually described as a sharp, aching, or throbbing pain. 2.Neuropathic pain occurs when there is actual nerve damage. People who have neuropathic pain often describe this type of chronic pain as a burning or heavy sensation. They can also experience numbness along the path of the affected nerve. There are many potential causes of chronic pain. It can follow surgery, motor vehicle or work place accidents. Fibromyalgia, degenerative disc disease, osteoporosis, spinal stenosis, can cause chronic pain. It also includes neuropathies and post cancer pain. Physical inactivity, being overweight or obese are some of the risk factors for developing chronic pain. Chronic body pain can affect any part of the body, it tends to be more common later in life, but it can occur at any age. It can be in one part of the body or can occur in several parts of the body at a time. Back pain, neck pain, headaches and pelvic pain are some of the common ones. Chronic pain can interfere with your daily life making daily tasks difficult to complete. It can affect your sleep, your mood, your ability to work or return to work, your relationships and your social life, and your ability to enjoy sports or hobbies. It is common to see people with chronic pain also experience some degree of depression, anxiety, anger, social withdrawal, substance abuse and addictions. Chronic pain can also change your role in your family, social circles and within society, potentially leading to self esteem and self-worth issues. Where to Start? We can help! Chronic pain management helps you learn to manage your pain and learn how to live your best life with the pain. The earlier you start, the more you learn about your pain, the earlier you learn to gain control over your pain and change your life for the better. Chronic pain management also helps you avoid developing weakness and stiffness in your body and reduces the risk of developing depression and anxiety. It will help you get back into some the activities you enjoy. Your physiotherapist will start with a complete assessment, starting by listening to your story of your pain experience and developing an understanding of how it affects you. Your mobility, flexibility and strength will also be assessed to establish a starting point and understand what needs to be worked on. Questionnaires can help identify psychosocial issues which may be affecting your life with chronic pain. Together we will work on developing a program to help you improve your life, improve your fitness level and resume some of the activities you love doing while monitoring and managing your pain. Together, we will set S.M.A.R.T goals (specific, measurable, attainable, realistic and time-related). We will use tools like diaries, relaxation techniques, breathing techniques, massage and exercises. You will learn the connections between thoughts, emotions, behaviours and pain. Your physiotherapist will be part of your team, of which you are the central and most important member. Other team members can include your family doctor, psychologist, massage therapist, osteopath and others. There are lots of tools to help you manage your chronic pain, gain a sense of control and live a full life with your pain. Chronic pain cannot be cured but it can be managed. Some of the changes will be felt quickly, others might take longer, the process is a gradual one and is different for each person. The sooner you start, the sooner your life will improve! Chronic Pain Association of Canada. http://chronicpaincanada.com. Chronic Pain Support Group / Supportive Services (Ottawa). On Facebook (https://www.facebook.com/groups/284742101724728/). Action Ontario. https://actionontario.ca. (Chronic & neuropathic pain). Caudill, M. A. (2009). Managing Pain Before It Manage You 3rd edition. New York: The Guilford Press. Loeser, J. (2000(16)). Pain and Suffering. Clinical Journal of Pain, 52-56. Turk, D. O. (2002). Psychological factors in chrnic pain: Evolution and revolution. jpurnal of Consulting and Clinical Psychology,70, 678-690.